Sales reps hate leaving a prospect without a signed contract, and the days of hardline sales techniques are long gone. So, how do your reps keep the conversation going and the interest building when they're away? The answer is simple: put high-quality, effective print sales collateral in their hot, little hands. Armed with the right mix of marketing materials, your sales reps can leave their prospects with some subliminal messaging that subtly invades the prospects' subconscious after the sales rep leaves. Think of it as a little beacon whispering "buy me...buy me." Highly effective print sales collateral doesn't just mean you leave a brochure and a business card and hope for the best. To super-charge your sales force, you need well thought-out, quality-designed materials that will continue to grab the prospect's attention and not end up as a coaster or at the bottom of a hamster cage. Top sales experts have weighed in with the following best practices. 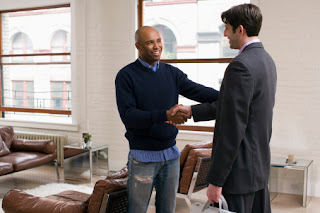 Take the time to provide your "offer" in your sales package. The longer you can keep that prospect engaging in your company's materials, the more likely they will be to buy. Have your sales reps present the documents to the prospect in a snazzy, branded folder that will catch your prospect's attention when the rep leaves, and one that will beg them to open it up and read what's inside.